Corn mazes have become popular fall attractions at many farms. It's fall y'all. Time to take advantage of the sweater weather and head outdoors for a fall activity. One that's popular with all ages is getting lost in a corn maze. There are many farms located just short drives from Philly that offer the autumn attraction. Below are 12 nearby farms with corn mazes you may want to check out this October. The 5-acre corn maze is open during the day on Saturdays and Sundays through October. Merrymead also offers the "Moonlight Maze" on Friday and Saturday evenings. Remember to bring a flashlight if you go at night. This farm is known for it's Halloween attraction, Horrorfest, but if you visit during the day, you can have some monster-free fun. There's a 5-acre corn maze, as well as wagon rides to the pumpkin patch, barnyard animals and apple picking. 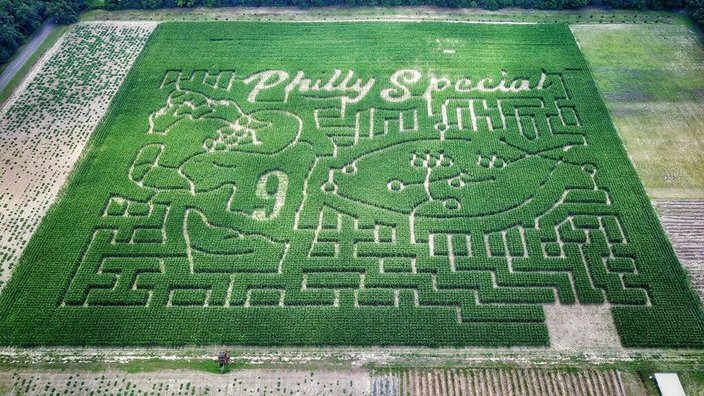 This South Jersey farm turned the Eagles' iconic Philly Special play form the Super Bowl into a corn maze this year. The maze is divided into three sections with varying difficulties to accommodate all ages. In Cherry Hill, there's a corn maze with an educational twist. This year, the theme is "ocean adventure." Throughout the pathways of the maze, you'll find pictures, clues and games to make learning fun. The maze will be open Saturdays and Sundays. On Friday nights, Springdale Farm will also offer a chance to explore the maze by flashlight. Head to Bucks County this October to enjoy fall at the Hellerick's Family Farm. The 5-acre corn maze will be open daily. After making your way out of the corn field, make sure to check out the other family-friendly activities the farm offers. The Adventure Farm Area has tons to keep kids entertained. Check out the corn maze during the day, or wait until the evening to explore by flashlight. Visitors can also grab apple cider doughnuts or a pickle-on-a-stick while there. Families are invited to check out Pumpkinland at Colonial Gardens. For $3, enjoy a Halloween fun house, "Casper's Castle" and a corn maze. This local farm also has an Eagles-themed corn maze, which is open on weekends through October. From the sky, you can see that the maze says "Philadelphia Eagles World Champions" and includes a football player catching a ball. 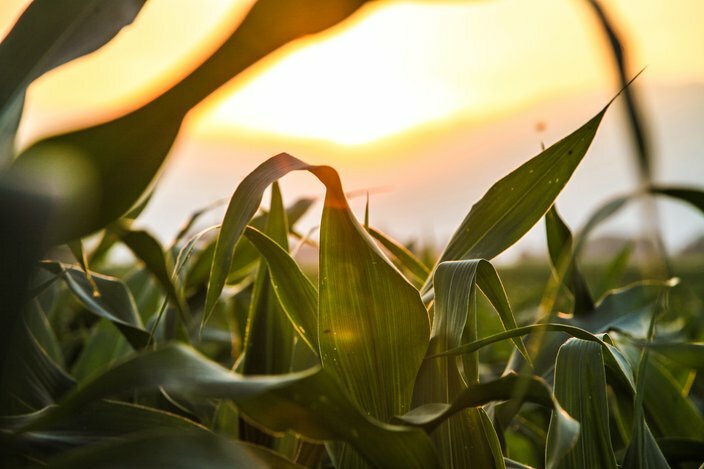 Go to Cherry Crest Adventure Farm for "The Amazing Maize Maze." There will be clues, "Kernels of Knowledge," activities and a photo ops within the 5-acre maze. This farm claims to be home to New Jersey's longest running corn maze. Check it out on weekends this October, as well as the farm's pumpkin patch. The 10-acre corn maze features a new theme each year. For 2018, it's "Age of Edison," celebrating the life and inventions of Thomas Edison. As you make your way out of the corn field, you'll play games and learn facts. 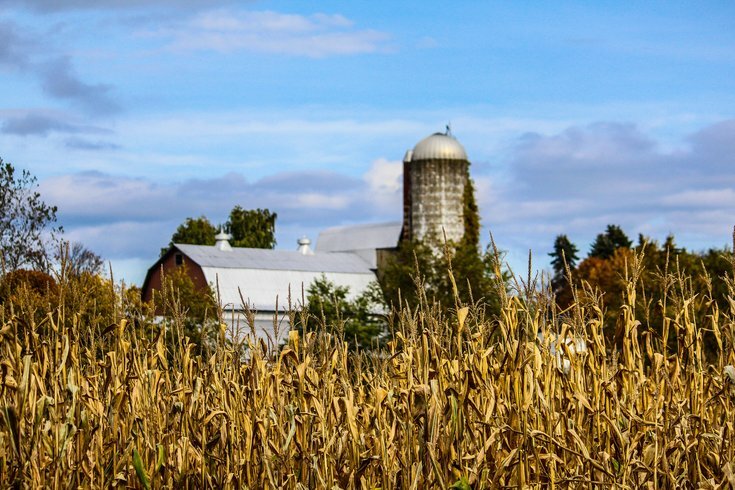 Bring the family to this New Jersey farm to navigate through a 6-acre corn maze. There's also a pumpkin patch, pony rides and face painting.